After a lull in February, India’s IPO market is going to see big action with two offers to open for subscription next week. First of the two upcoming IPOs, Music Broadcast Ltd (MBL) is an FM radio broadcaster which operates radio stations under Radio City and Radio Mantra. The company – owned by Jagran Prakashan – will raise INR488.52 crore (INR4.88 billion) through the IPO which opens for subscription on 6 March. Investors can bid for 45 shares and in multiples thereafter. MBL IPO will be riding high on the back of strong secondary markets which have recovered well from the impact of demonetization. Against this positive backdrop, there is no doubt that the offer will be sought after even though it faces some competition from Radhakishan Damani-promoted Avenue Supermarts IPO which opens on 8 March. Needless to say, investors are spoilt for a choice. During the IPO, we will be updating subscription statistics on the discussion page where readers can also find latest grey market premium (GMP) and investment strategies of other investors. Before that, we try to dig out important details from prospectus and see in MBL IPO review if the offer is worth subscribing. Meanwhile, readers might also want to go through this article which is as good as a mini review. By now, most of our readers know that we prefer IPOs which raise funds for the company. IPOs in the last two years have been largely used as a mean to offer exits to early investors and we are not against this approach but pure OFS issues can easily turn into disasters (see examples here and here). Thankfully, MBL IPO has a healthy mix and we absolutely like the fact that the INR400 crore by issuing new shares will make the company completely debt-free. We have got used to seeing big private equity investors lining up to sell their shares in IPOs but the scenario with MBL is different as most of the investors offloading their shares (2,658,518 of them) belong to promoter group. 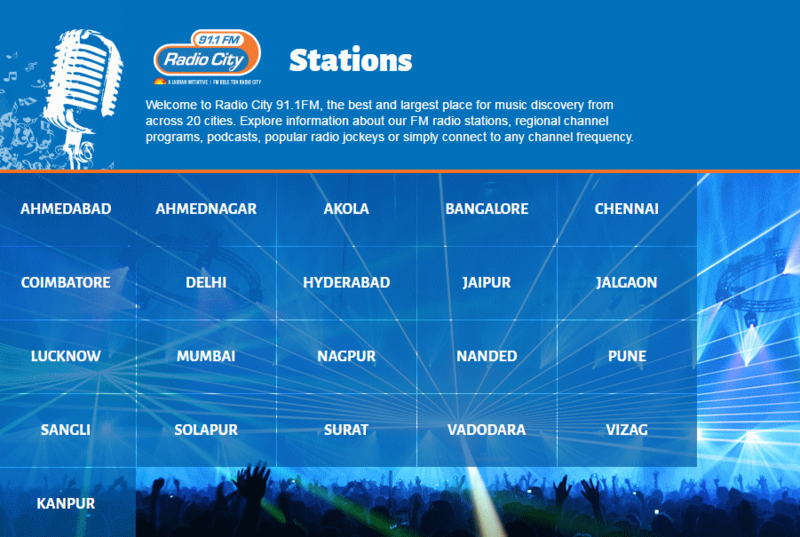 While MBL operates eight radio stations under Radio Mantra, the company is mostly about Radio City. In total, MBL operates radio stations in 37 cities, making it a national player although it is still behind Entertainment Network India Limited (ENIL) which operates stations in 43 cities under the Radio Mirchi label. MBL is soon going to start two new radio stations in Bikaner and Patna, taking the total to 39 cities. This also includes 12 out of the top 15 cities in India by population. As on 31 March 2016, MBL’s radio stations reached out to over 49.6 million listeners in 23 cities. Since this is a business with a strong retail connection, its popular radio shows and features such as Joke Studio, Babber Sher, Love Guru and Kal Bhi Aaj Bhi need no introduction. At the same time, MBL is trying to move beyond the core radio broadcasting business (this is something Radio Mirchi also does beautifully). It has created popular events such as ‘Gig City’ multi-city radio concert series, ‘Radio City Super Singer’ singer talent hunt and ‘Radio City Freedom Awards’. Apart from developing new revenue streams, this approach helps in enhancing brand positioning. Now the above mentioned numbers are quite big and anything with this kind of reach sooner or later turns into an attractive business. MBL is no different as its revenues growth in recent years attests. In the latest year, its top line of INR245.5 crore in FY2016 – highest in the last five years – is set to be surpassed in FY2017 as six month data suggests. Similarly, MBL has already earned INR29.7 crore in the six months of FY 2017, against the INR42.5 crore net income of last full year. This translates into net margin of 21.5 % which marks a substantial improvement from last year’s 17.3%. Needless to say, this is impressive performance and we like it. Music Broadcast IPO review: Should you subscribe? As demonstrated above, MBL is on a strong footing operationally and financially. What could wrong then? A lot, we say. A weak industry outlook is does not inspire confidence and similarly, lofty valuations can destroy the value proposition. Thankfully, MBL operates in a flourishing industry. Most of the revenue growth for the existing players so far has come from expansion in tier-two and tier-three towns and efforts to move past the traditional song-based radio programming are still relatively new. Amid all this, clients are happy to spend money on radio advertising. 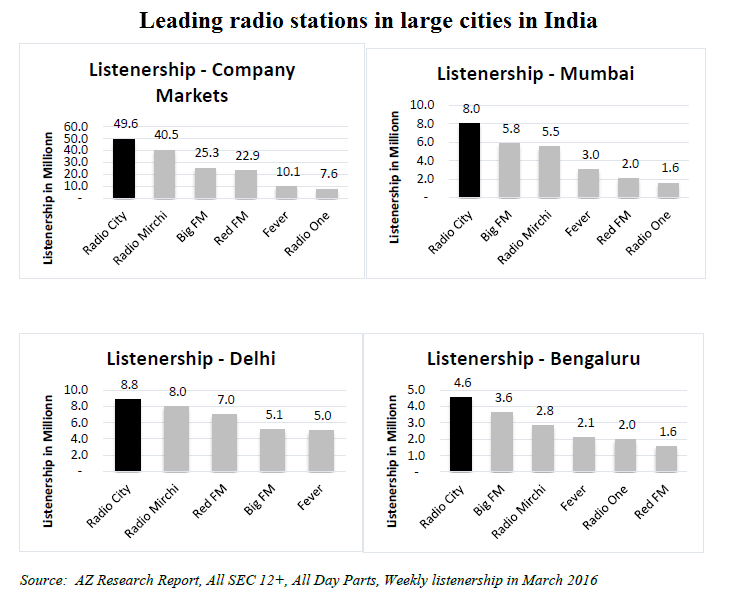 According to a forecast by KPMG and FICCI, advertising growth in radio is expected to surpass that of TV and print by 2020. In total, the radio industry is likely to maintain a CAGR of 16.9%, second only to digital advertising. Now that industry growth looks positive, the next important aspect for IPO investors to look out for is valuation. In FY2016, MBL earned INR9.95 per share while six month data suggests annualized earnings may be around INR13.2 per share. Assuming the IPO is subscribed at the upper end of the price band (no surprises here), the company will be valued at a price earnings (P/E) ratio of 33.5 on FY2016 earnings. For FY2017, the multiple works out at 25.2X. We haven’t included the impact of debt reduction as the benefits will be countered by equity dilution to an extent. In any case, MBL IPO appears to be priced competitively. In comparison, its larger rival ENIL trades at a P/E ratio of 39.4 on the basis of FY2016 earnings. With a top line of INR533.7 crore last year, ENIL is a larger player and has better margins so MBL needs to be valued at a slight discount and as such, its IPO doesn’t look too pricy. In our analysis of MBL IPO review, we find that the company is leaving something on the table for IPO investors as grey market rates also indicate. Grey market premium (GMP) in MBL shares is currently around INR75 which indicates strong demand and a high possibility of a positive listing. Before jumping into the IPO, look at the past performance of the company and focus on the revenue drivers. Is it really worth subscribing? Numbers are MBL are really not so attractive as you can see margins are fluctuating and so as the returns. revenue growth is not stable as well. Can you really find any trigger looking forward to couple of quarters? Just to gamble for listing gains should not be the idea. Investment should be an investment, not a gamble.